I can’t find any information on this photo. 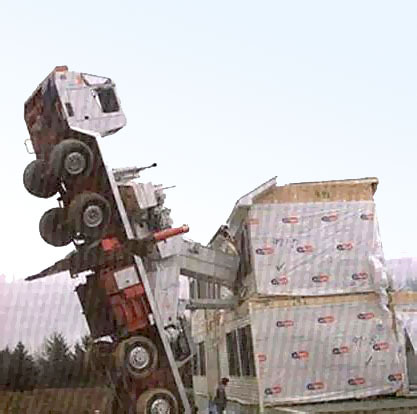 It would appear that a modular home being delivered, tipped the delivery truck or crane. Close enough for me to include it here.